Le Rendez-Vous is our largest condo with six bedrooms. Superb for family gatherings, corporate team building, golf getaways and ladies weekends. 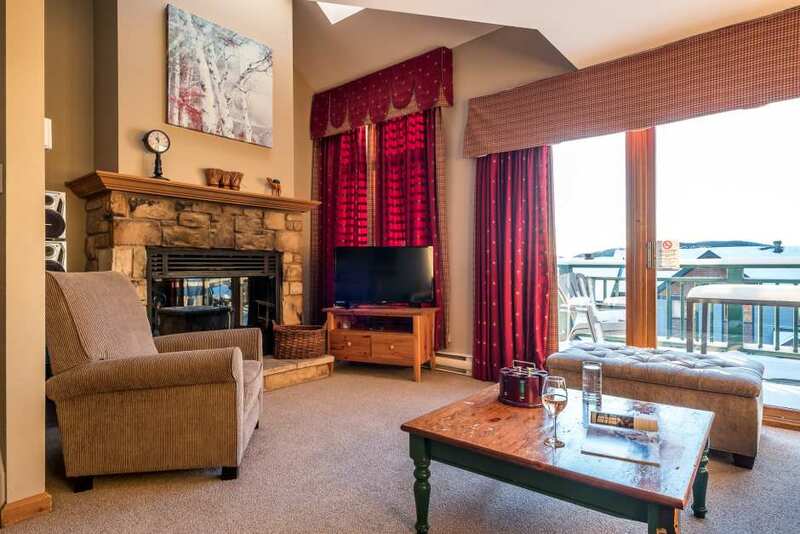 This condo sleeps 12 comfortably and has a personal two seated balcony off the loft bedroom with a beautiful view of lac Tremblant . Additional fridge to accommodate extra food and drinks. Excellent value for the location and plenty of room for our group. Great experience overall.